Ok guys, I am so excited about this post. I actually don't even know where to start! I mean, I know I want to say hi....so, "Hi! "...I also want and need to share and explain to you all about this new thing I just discovered- CARAMELIZED WHITE CHOCOLATE. Did you hear me? 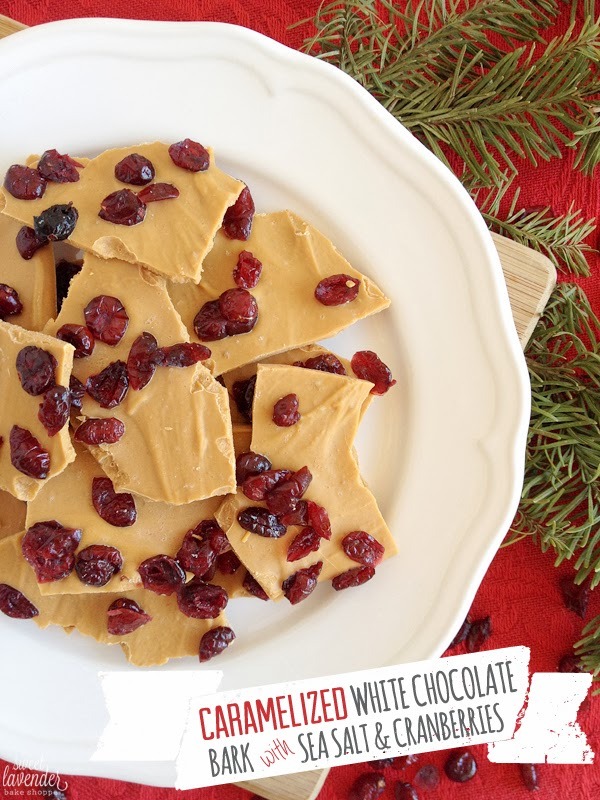 We're taking chocolate...white chocolate...and like improving it! Like that needed to be done in the first place. But we are! We're taking something tasty and making it UBER-tasty! Into a caramel! Am I making any sense? See what I mean- I just can't get all of what I want to say out quick enough! Ahem. Friends. Make this please. I mean really. Make this ASAP, and you will know exactly what I mean. I'm thinking Valentine's Day...you...your loved one...this as an edible gift... Are you picking up what I'm dropping????? How does one even explain this new phenomenon? So there's a thing you can do to white chocolate- GOOD quality white chocolate...where, if you cook it, gently and slowly, you turn it into liquid gold. And I do mean gold. It's the most fantastic thing! Think about it- all white chocolate is, is sugar, milk and fat (in the form of cocoa butter), so when you slowly heat them up and cook them, it becomes a delicious caramel! Here's the catch- Out of all the recipes I read, they all share one thing: You have to use good quality chocolate. Try and find the best quality you can. Because all chocolates are different, and because the better the chocolate, the higher the cocoa butter ratio is, if you find a great quality kind or a version that is at least 30% cocoa butter- your product will turn out a lot better. The higher the cocoa butter amount is, the more it wants to melt and work for ya. Which, in my experience, is a little easier to work with. Look for a white chocolate with "cocoa butter" as the first ingredient. Baking chips or candy coating made without cocoa butter WILL not work. Stay far away from the hydrogenated oil stuff. 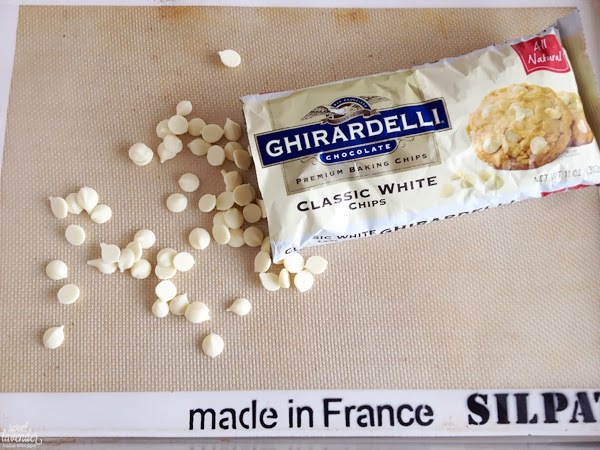 I made this using Ghirardelli white chocolate (picture below) and a store-brand kind (which I thought was a good kind) and the Ghirardelli version came out SO much better. Of course there are even better kinds out there, but for where I live, Ghirardelli was my best version! 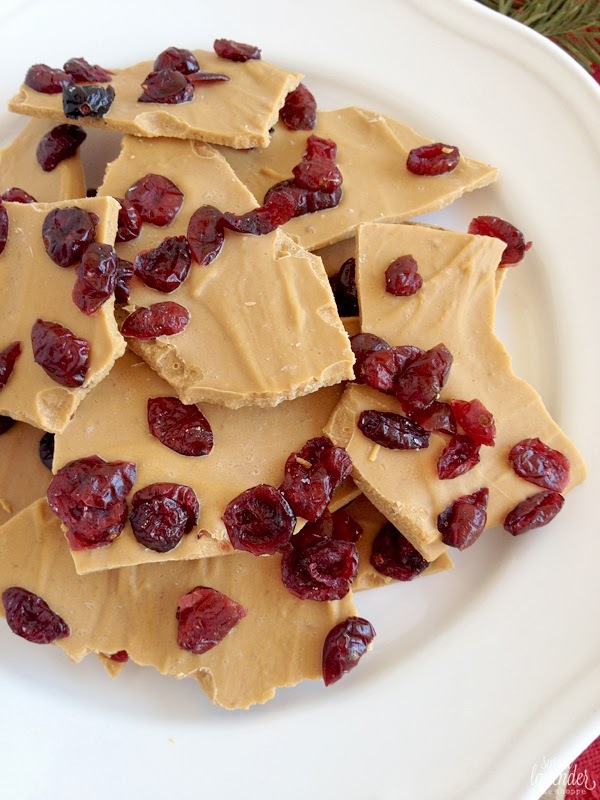 So what we're going to do here is slowly caramelize this baby, cook it real good, top it with sweet and tart cranberries, and a slight sprinkling of salt, and make it into the best bark you'll ever eat. I promise this. Unless you're not a fan of white chocolate. In which case, email me and let's have a chat. Ok, so bare with me. The steps may be a tad weird sounding but the end product is amazing. Please read through the entire recipe before beginning! 1. Line a sheet pan with parchment or silpats and set aside. 2. 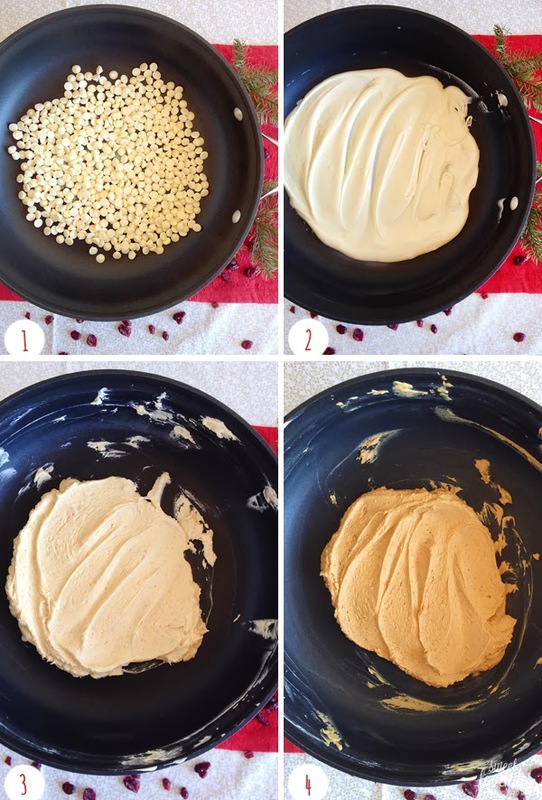 In a large non-stick skillet, empty your white chocolate chips. Over a low heat, you are going to slowly melt and cook your chips! Using a rubber spatula, stir the chocolate pretty frequently. This is not a recipe you can leave from. Stick around. 3. Over your low low flame, the lowest your knob will go, continue to cook your chocolate, stirring frequently, for 35 minutes. Smash out any lumps with your rubber spatula. Here you can see I just added my chips to my pan. About 2 minutes in, you can see my white chocolate is completely melted. White chocolate melts at a much lower temperature than any of the other chocolates, which makes it easily burnable. So keep stirring continuously. At about 8 minutes it will start to thicken up. Here, I've been cooking my chocolate for about 15-18 minutes. It's a lot thicker and slightly browned in color. Keep cooking and stirring! Here, my chocolate has cooked for 30 minutes. I've stirred, squashed, flipped over, and mixed continuously throughout the whole cooking time- and it's a nice peanut butter color. It smells nutty and caramelized- it's perfect! You will see this color change dramatically at around 23 minutes. 4. Once your chocolate has reached that nutty peanut butter caramelized color, quickly pour onto your sheet pan lined with parchment or silpats. Spread out chocolate so that it is about 1/4" thick and sprinkle top with cranberries and sea salt. The amount of salt depends on you. I added around 1/8 teaspoon. 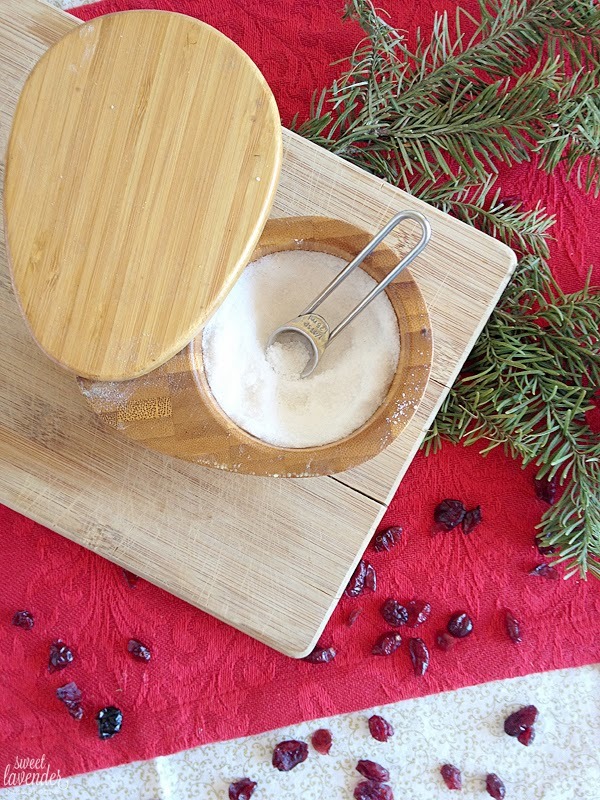 Gently press cranberries down, so they are really in the bark. 5. Place in fridge and allow to cool and harden for one hour. Remove from fridge and break up into chunks! Allow to sit at room temperature overnight before packing up. (This allows any moisture that may form on the top of bark to dissipate and for it to set up completely). Will store room temperature once it's set. Just keep in an air tight container. If your chocolate is starting to brown too quickly, this means the pan is too hot. Simply remove pan from heat and allow to cool a tad on unheated surface, while stirring constantly. Give it a minute or two of this. Then, just place pan back on low low heat and cook some more. Nutty. Deep. Rich. Caramelized white chocolate is the way to go. Then the bark is tart and slightly salty. I mean, could anything taste better? Sheesh. Speaking of which...I have a super fun recipe using caramelized white chocolate again, coming up soon for ya! 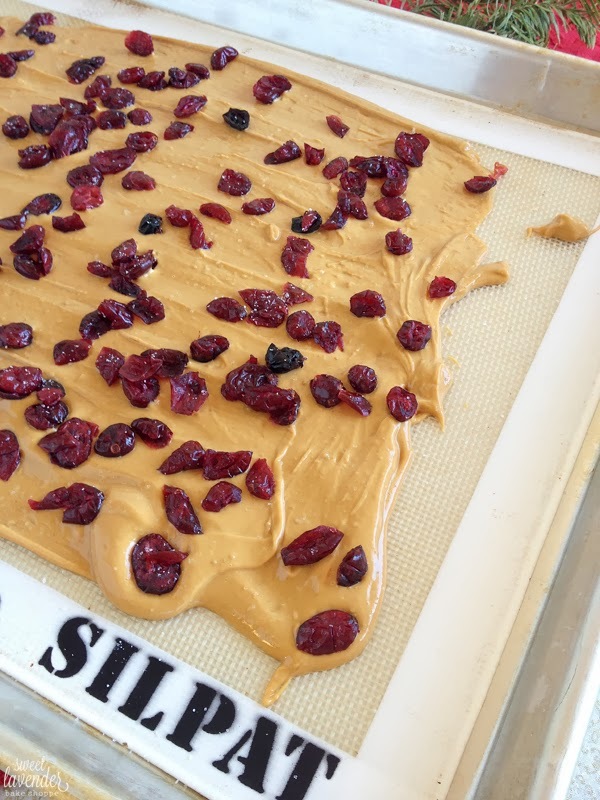 All aboard the caramelized white chocolate (bark) train! This looks amazing! What a great recipe! Thank you so much for the kind words! I really hope you try it! Okay. I need this. 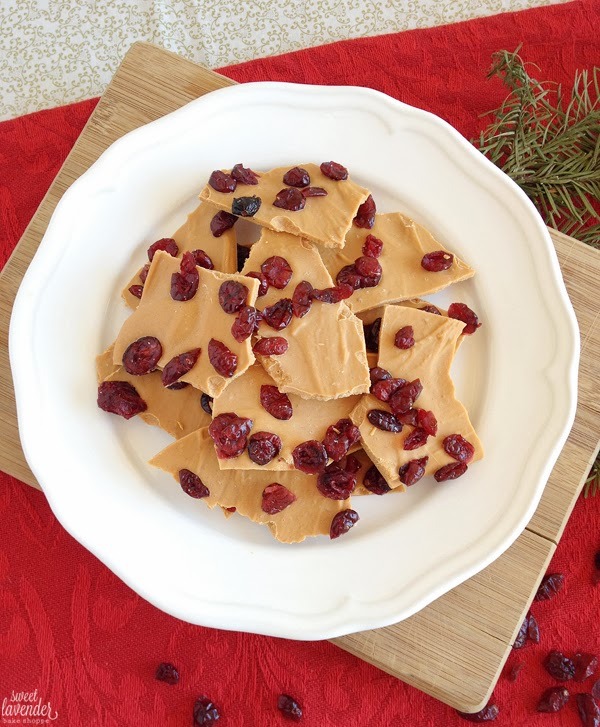 I love anything with cranberries and I have a serious sweet tooth! YUM!